Pattern is sold separately. Click here for the pattern. 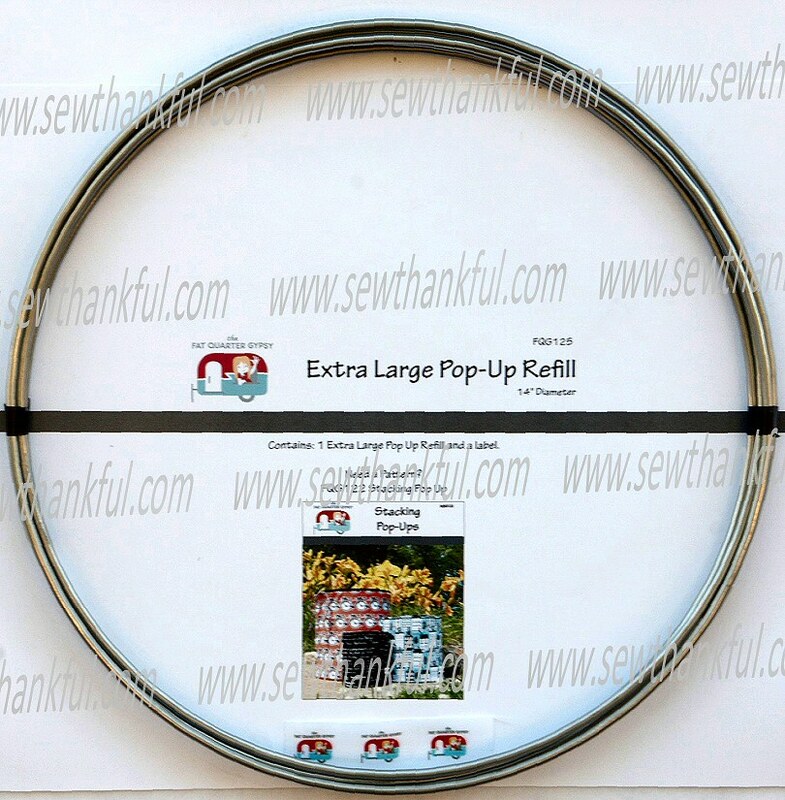 ***Please note: this EXTRA LARGE refill is made of very heavy steel (metal) and require a bulky item shipping charge of $5.00 per refill to cover higher shipping and packaging requirements. This extra charge will automatically be added on to the regular shipping rate provided in the shopping cart when you add the item to your cart. The bulky item shipping fee will apply regardless if you qualify for FREE USA Shipping. See Shipping Policies page for details. Click here for more Fat Quarter Gypsy products.